Change Your Lifestyle – Change Your Body! Do you want to change your body? Have you had enough of feeling sluggish, tired and unmotivated all the time? At Flexr6, we will change your lifestyle to give you that body you have always wanted! We have all felt overweight and uncomfortable with our bodies at some point in our lives. You can change that feeling one day at a time. At Flexr6, we work closely with you to change your current lifestyle to get you that body that you have dreamed of. 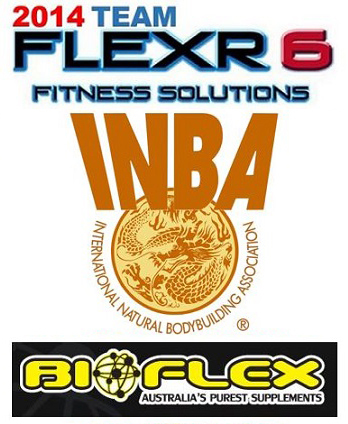 Anything is achievable with Flexr6 and this is how we can do it together………….. Using the Flexr6 Global App with your Flexr6 Better Health Program will provide you with your supplement, nutrition and strength training workouts in a convenient and central location – right there on your smart phone! We will record the change to your body through the submission of your measurements to your Flexr6 Global trainer. This weekly visual change will go hand in hand with the change to your lifestyle! 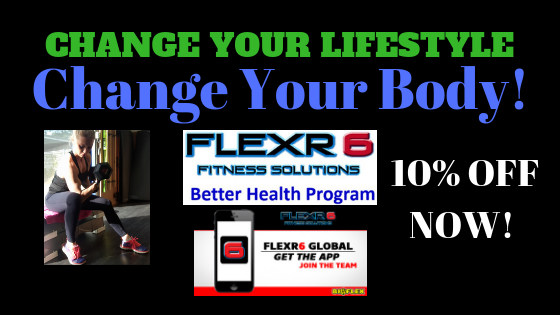 Read more about how to change your body and lifestyle, the Flexr6 Global App & the Flexr6 Better Health Programs here . Or leave a comment below or send Flexr6 a message via our contact form at the bottom of this page! LOOK OUT FOR OUR SPECIAL OFFER 10% OFF COUPON CODE. THIS APPLIES TO ALL FLEXR6 BETTER HEALTH PLANS!